You’re already Awesome, of course! However, if you want to change some things up in 2017 to feel even better about yourself, this Blog is for You! Maybe it’s that one thing that you’ve been wanting to do for yourself, but…you never seem to make the time for, or maybe it’s something bigger that would really add to your happiness. So…How are your New Year’s Resolutions working so far? Many of you have already come up with a New Year’s resolution, or two, (or three), but there’s that little bit of doubt in your mind as to whether or not you’ll truly be able to achieve what you’ve set out to do? And now that it’s the middle of January, maybe your new plan is becoming a bit more difficult to stick to. Well, don’t worry-help is on the way! According to the latest research conducted by the Statistic Brain Research Institute, on January 1, 2017, 37.8 % of people who are in their 20’s tend to successfully achieve their New Year’s resolutions, as compared to 16.3 % of people over the age of 50. Also, those who set concrete and explicit resolutions are 10 times more successful in reaching their goals! 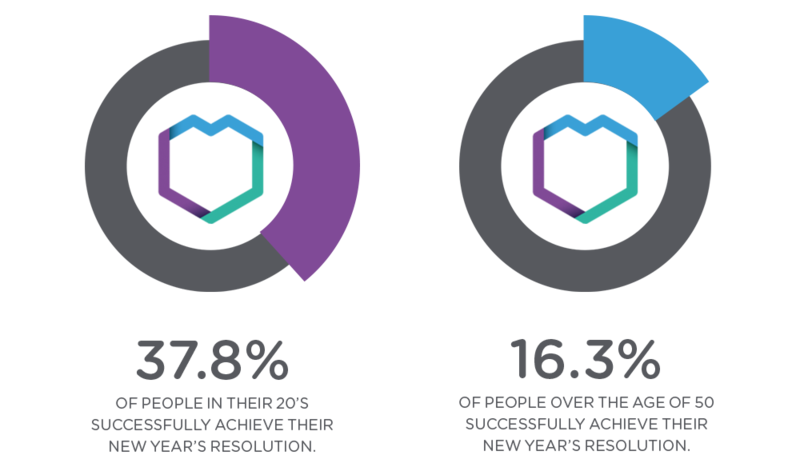 The Statistic Brain research also showed that 72.6 % of people work really hard on their New Year’s goals during the first week of the New Year. But…what happens after that? Well, as we all know, it can become increasingly more difficult to persevere as time goes on. So…if there is that something that you want to change or improve upon this year, how do you go about truly making it happen? Pick One Thing That Is Important To You and That You Believe Is Achievable: Rather than coming up with a list of resolutions, choose one that matters to you and will add to your happiness even in the smallest way. 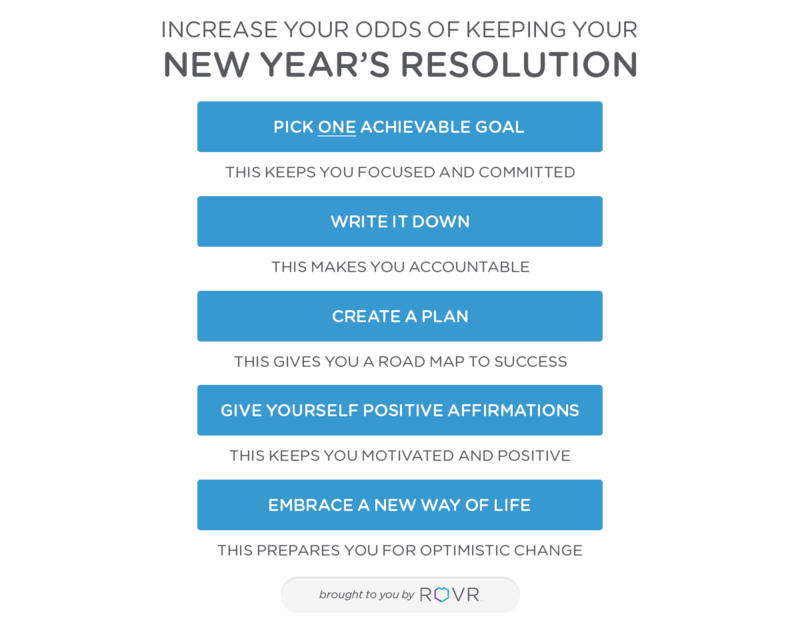 (If you’ve already created a list of resolutions, take a serious look at them, and decide which you want to achieve first.) Hint: Some of them may be interrelated and really fall under one goal. Write Your Resolution Down On Paper: Yes, good old-fashioned pen to paper goal setting is important! Create some sticky notes and put them up around your house, apartment, or office as well. If you’ve been an “ice-cream-aholic” and want to give up your nightly addiction for example, make sure to put a sticky note on the fridge! And, if you’re a person who always sets reminders on your phone, include these, too. Create A Plan For Achieving Your Goal: Remember, “A goal without a plan is just a wish.” Write down realistic steps that will help you to be successful. Without creating a process, you will not be able to make a change. For example, giving up ice-cream entirely if you’ve been eating it daily may be unrealistic. Instead, making a plan to eat ice-cream only twice a week for a set period of time with the end goal of eventually giving it up will increase the chances of success. Also, coming up with an alternative food, a refreshing drink, or an activity in place of the ice-cream is important to include in your plan. When you take something away, you need to replace it with an alternative! Make Sure To Create Positive Affirmations To Help You Stick To Your Goal: Affirmations keep you going! So, if giving up your nightly ice-cream snack is your thing, you might post a positive affirmation along with your goal on the fridge that says, “I am a healthier person, because I don’t eat ice-cream every night!” Affirmations help change our way of thinking. Treat Your New Year’s Resolution Not Just As A Fresh Start, But As A New Way Of Life: Thinking of your resolution not only in terms of a fresh start for the New Year but as a long-term goal for your future will help it become a permanent lifestyle change. We set ourselves up for failure when we think of our New Year’s resolution in terms of a temporary change for the year. Now that you have some tips for successfully accomplishing your goal in 2017, you’ll have a good chance to make it happen! “Stick-to-it-ness” and patience will also help you turn your resolutions into reality. And if you “fall off the wagon,” so to speak, get right back up again and start over. It’s okay…Never give up!